Award-winning chef, Christina Tosi, was brought on board to help create the menu. “I’ve been a cereal lover since I was a kid,” said Tosi. 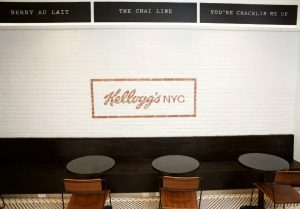 In April 2016, Kellogg’s opened a pop-up cereal café in Sydney for one week only.